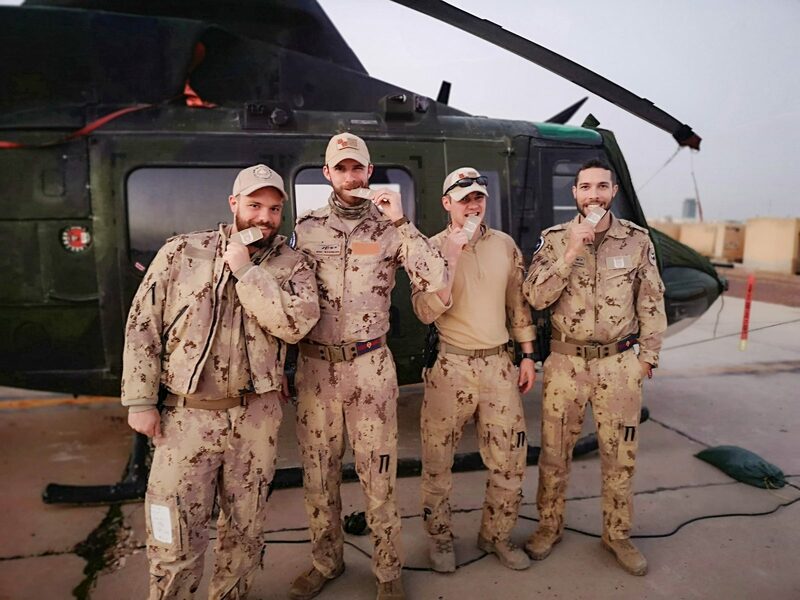 Door gunners from the Canadian Army who support Royal Canadian Air Force tactical aviation operations and possess specific qualifications are now entitled to a flight crew badge. “It’s my pleasure to introduce the newest specialist flight crew badge, entitled the tactical aviation door gunner badge,” said LGen Al Meinzinger, commander of the Royal Canadian Air Force. Door gunners serving on Operation Presence were presented with their badges at Camp Castor in Gao, Mali, on January 10, 2019. A few days later, on January 14, Meinzinger and Chief Warrant Officer Denis Gaudreault, RCAF command chief warrant officer, presented badges to door gunners during their visit to Operation Impact personnel in Iraq. QL3 of another applicable occupation that is recommended on a case-by-case basis by the commanding officer of a tactical aviation squadron and accepted by the A7 (the air training section) at 1 Wing Kingston, Ontario. 1 Wing is responsible for all tactical aviation helicopter squadrons across Canada. The door gunner qualification attained by RCAF members is incorporated in their basic occupation training, and is therefore already encompassed in their aircrew badges. 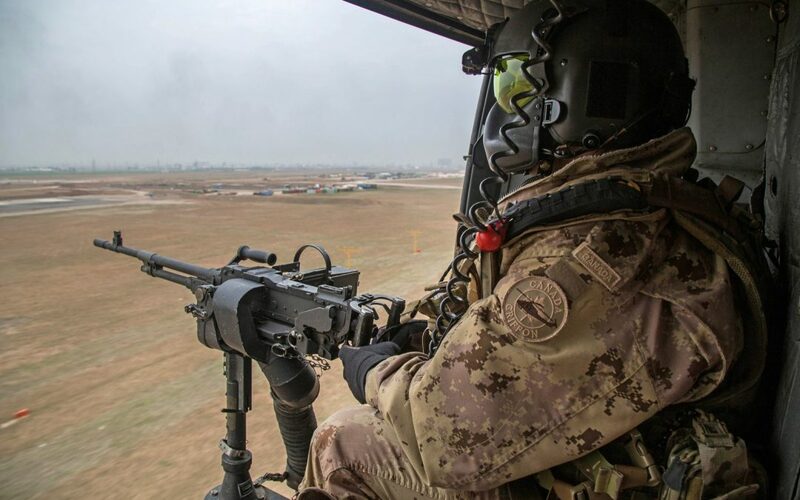 More than 100 trained and experienced Canadian Army door gunners supported tactical aviation before the door gunner course was created in 2012; these individuals are also eligible to receive the badge. Among them is Corporal Martin Mario Joannette of the Royal 22e Régiment, who was killed in action during Operation Athena in 2009. The commanders of the Canadian Army and 1 Wing will ensure these “legacy” door gunners are awarded their badges in a fitting manner. However, legacy door gunners must either complete the course before returning to door gunner duties or receive a “prior learning assessment and review” granting them the qualification. As it will take some time to produce the official badge, production of an interim badge has been authorized to recognize eligible personnel as expeditiously as possible. The interim badge matches the design of the final badge and its production is being coordinated by 1 Wing headquarters in Kingston, Ontario.